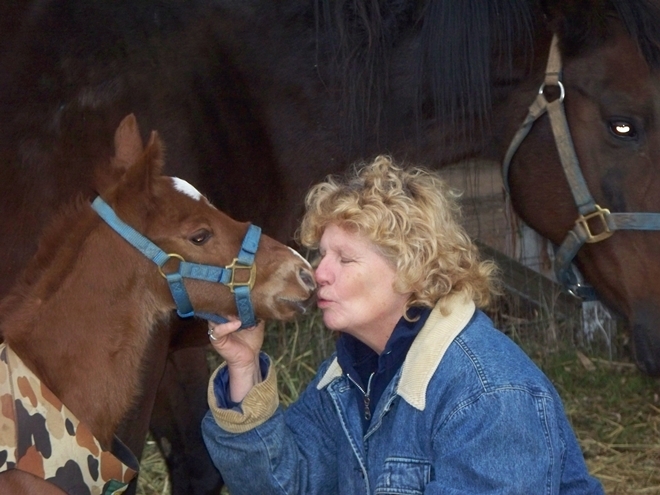 Above is the author with a newborn colt on Christmas eve a few years ago. This site has been revised and updated starting in September of 2016, and much new material has been added. I had neglected the site for many years while researching and writing several books, but now have brought it up to date. Some of this information will surprise you, and it may anger some of you. Realize it is the result of almost thirty years experience in sport horse breeding, research and database building. Our American heritage in equine sport has not been passed down to us as it should with the result that many of you are totally unaware of the excellence in sport genetics that are present in our domestic breeds. I hope this information helps the North American breeder create their best foals yet, and that they develop a new pride in our North American breeds and the breeders that brought them about.